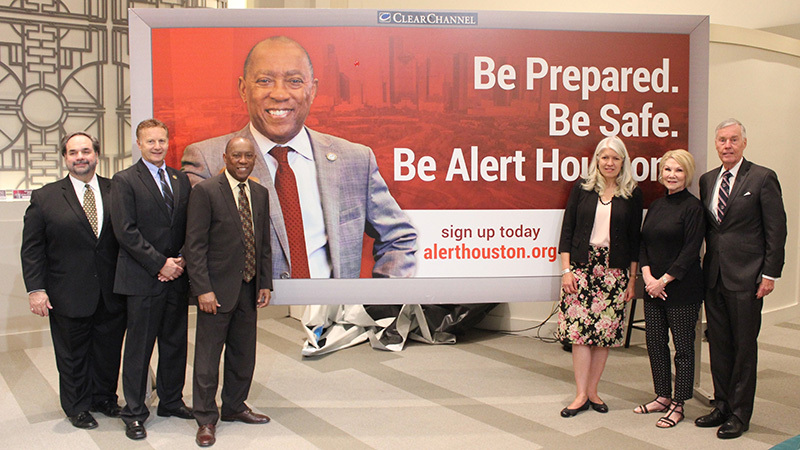 April 9, 2019 -- Houston Mayor Sylvester Turner and the Office of Emergency Management (OEM) announced a promotional campaign for AlertHouston, the City’s official emergency notification system. The City of Houston Office of Emergency Management (OEM) is the chief coordinating agency for disaster response in the nation's fourth-largest City. OEM provides emergency response coordination and communication assistance to City agencies and serves as liaison to regional, state and federal agencies during times of emergency. In addition, OEM engages with the local community to promote emergency preparedness through a variety of initiatives. More information can be found at houstonoem.org.